When Record Store Day first launched in 2008, just a few eager buyers lined up early outside Other Music and Kim’s Video. But tomorrow morning, you can expect the queues to be deep and packed. 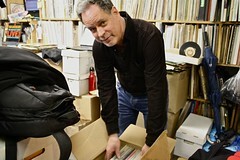 These days, RSD can be a frenzied scavenger hunt, with vinyl enthusiasts rushing from store to store looking for the exclusive releases, tipping each other off to secret stashes, and even swapping records onsite as they caravan around. It’s a reminder of just how exciting buying physical releases can be. Many labels use the holiday as a launching pad for new and established acts, and the constantly expanding list of releases grows daily. Stores are already making record geeks salivate by previewing the upcoming releases on their Facebook and Instagram accounts. 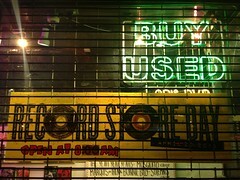 A full list of participating stores — many of which are located in the East Village — as well as releases are available on RSD’s official Website. Many stores, including Kim’s, will open at 8 a.m. in anticipation of the canvas-tote-carrying collectors. As for Mr. Davis? “We’re opening at 10 a.m. because we like to keep things civilized,” he said. Previous post The Day | East Village 'Slow Zone'?